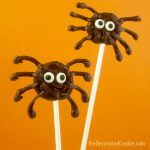 A roundup of 30 creepy, crawly spider food ideas (and some crafts!) for Halloween. Eek! OK, my fellow arachnophobes. Feel free to shudder. Here, these brave, seemingly fearless bloggers create all kinds of clever things that have eight legs. 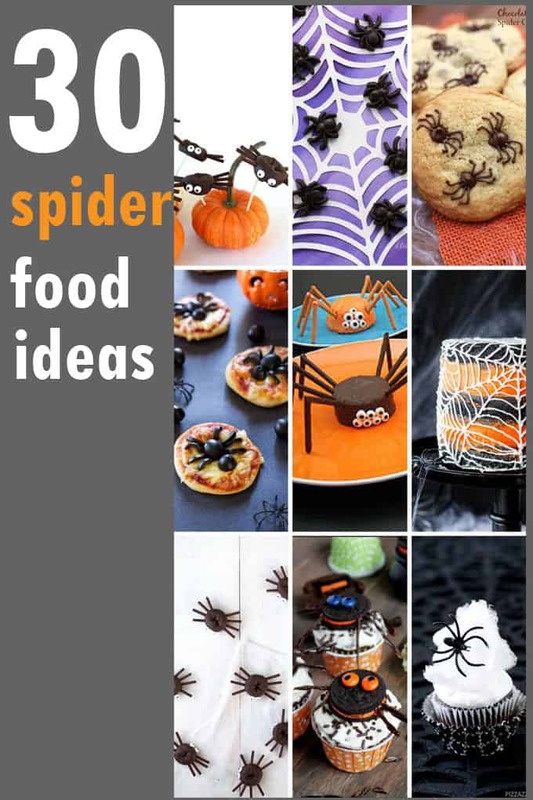 Or, a roundup of 30 spider food ideas (and a few spider-themed party wares to make) for Halloween. Of course, there are a few of mine in here and I’m absolutely NOT brave or fearless around spiders. I run screaming for the vacuum. 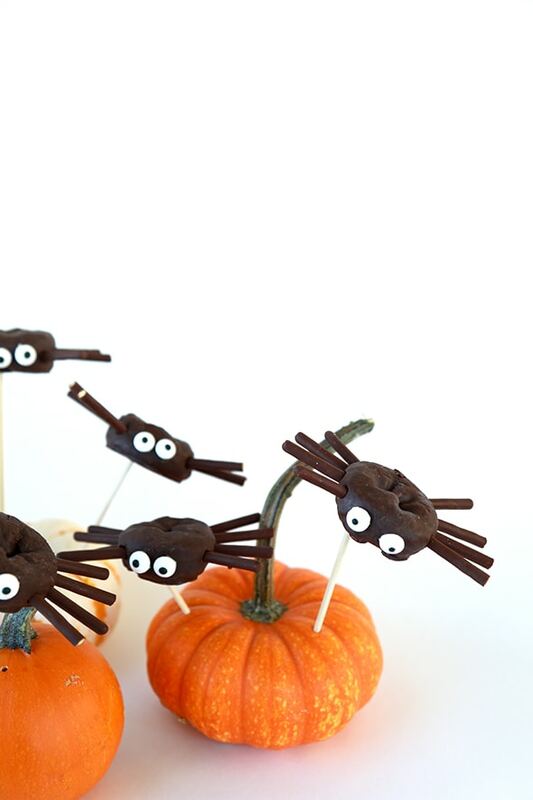 But when it’s time for a Halloween party, I pull myself together to make spiders. 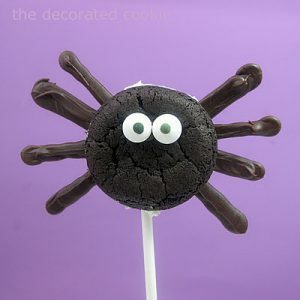 Make Oreo Cakester spider pops at the decorated cookie. 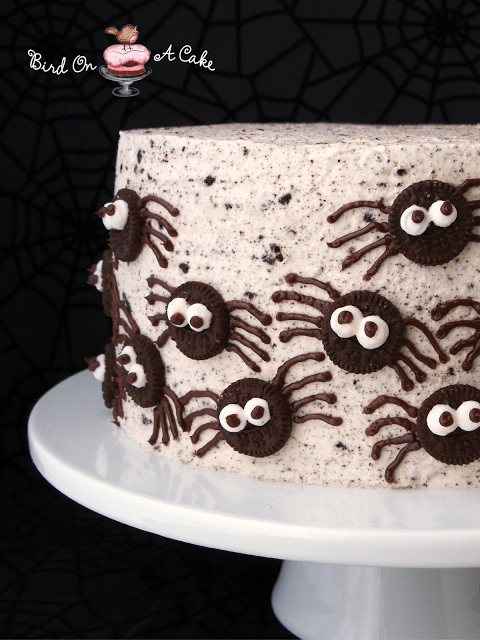 Or make these Oreo Cakester spiders. 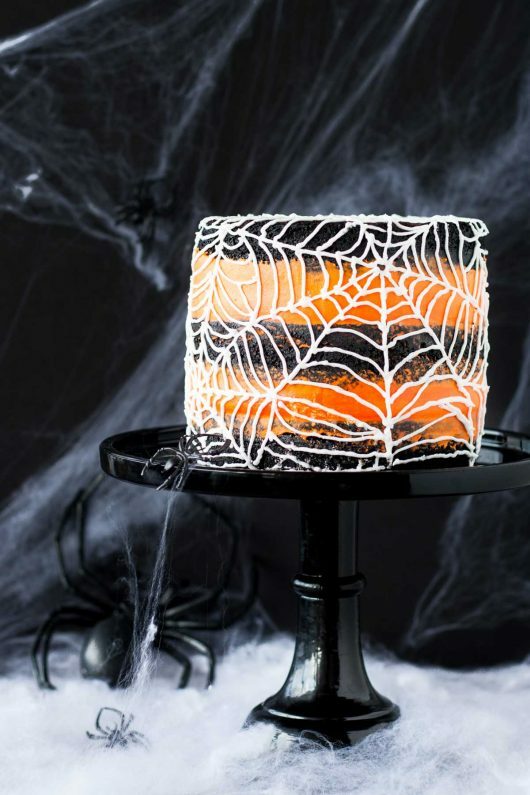 Make this spider web cake at Liv for Cake. 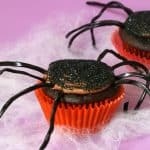 Make spider cupcakes at Pizzazzerie. 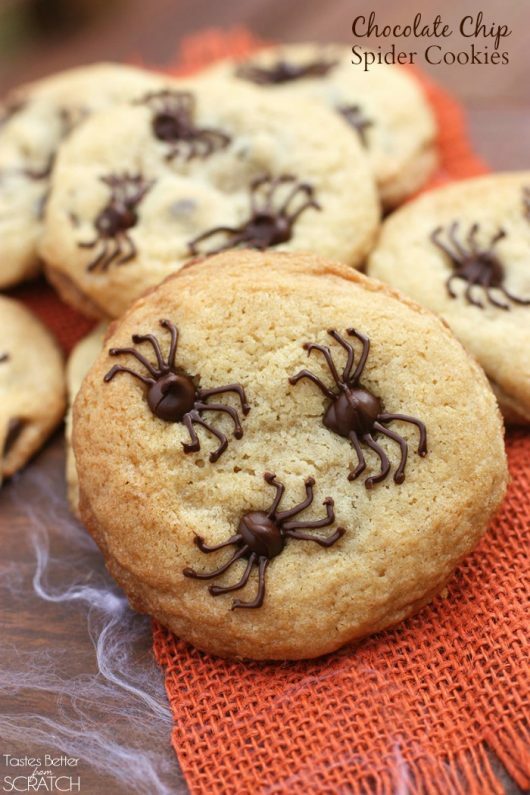 Make chocolate chip spider cookies at ‘Lil Luna. 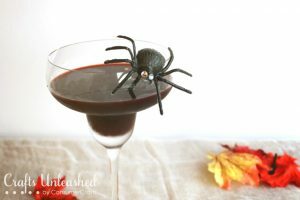 Make caramel spiders at Hungry Happenings. Ack! 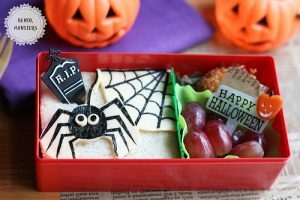 Spiders in the lunchbox! Make a spider bento at Bento, Monsters. Ack again! 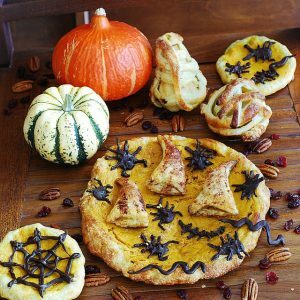 Spiders and other crawlers are all over this spider pumpkin puff pastry tart at Julia’s Album. Phew. This one is cute. 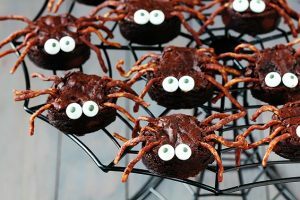 Make brownie spiders at gimme some oven. 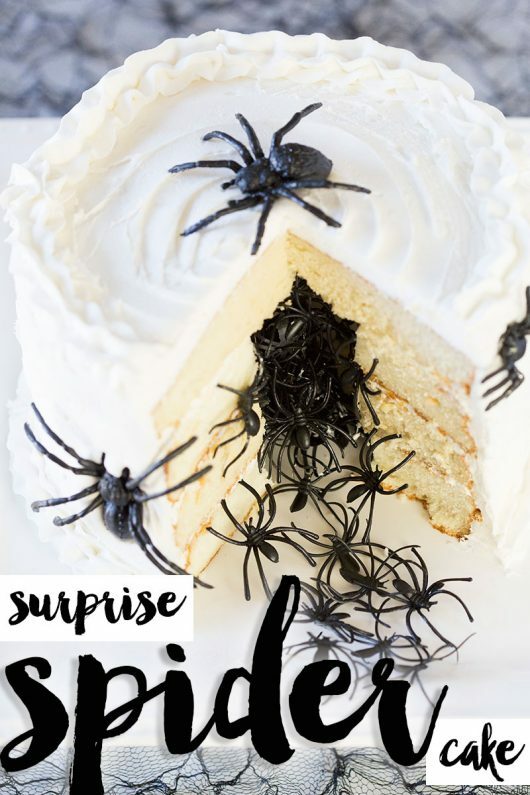 Make a spider surprise cake at Pizzazzerie. 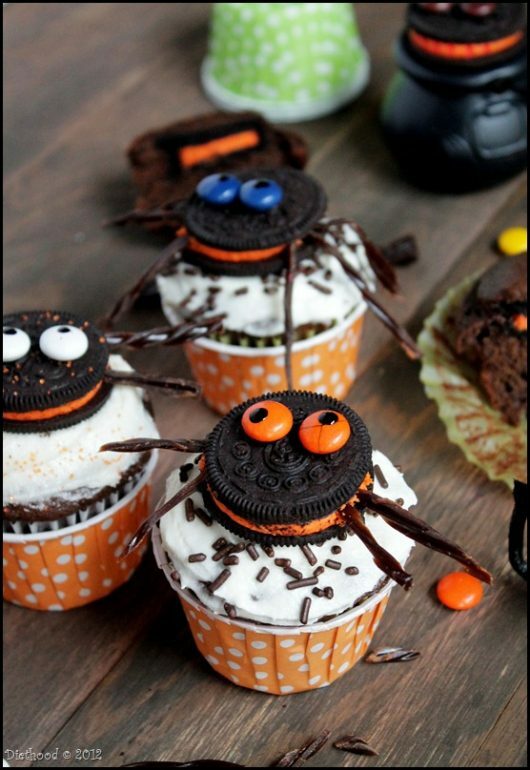 Make spider Oreo cupcakes at Diethood. 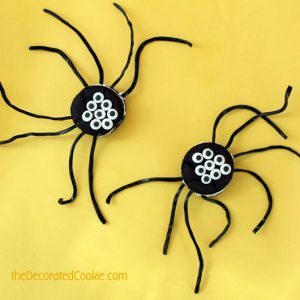 Cute spiders? 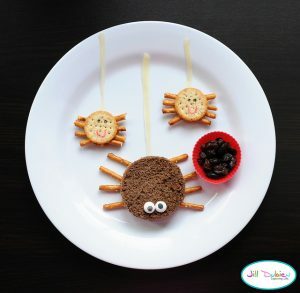 Make a spider snack at Meet the Dubiens. 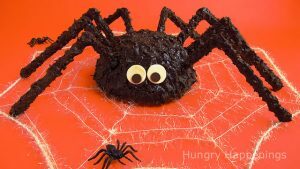 Make a spider cake at Bird on a Cake. I made some sprinkled spider cookie ornaments. 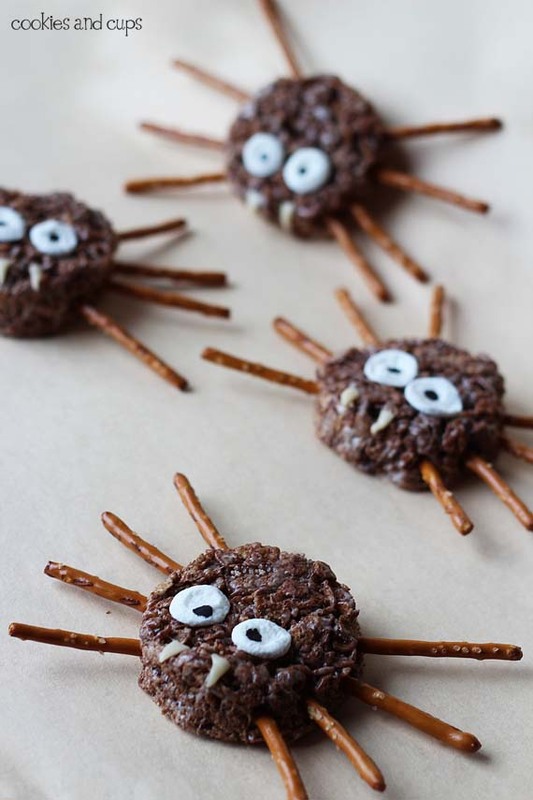 Make spider Krispies at Cookies and Cups. 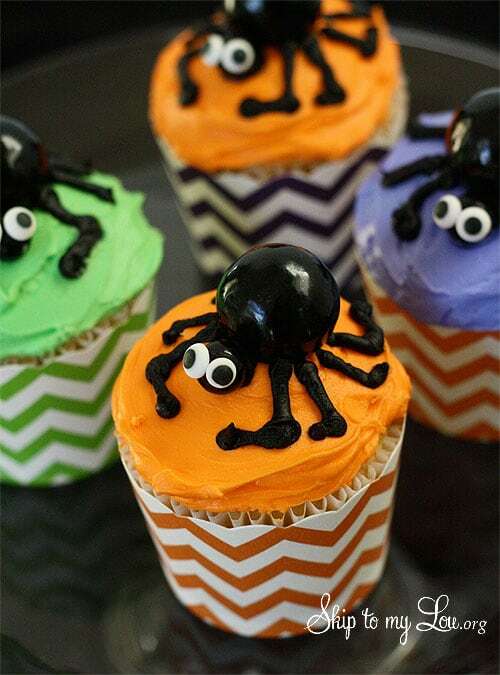 Make adorable spider cupcakes at Skip to My Lou. 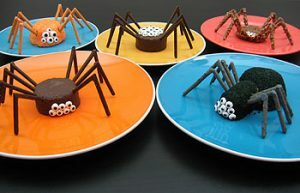 Make a spider appetizer at Woman’s Day. So creepy. 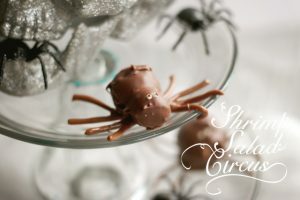 Make tarantula brownie truffles at Shrimp Salad Circus. 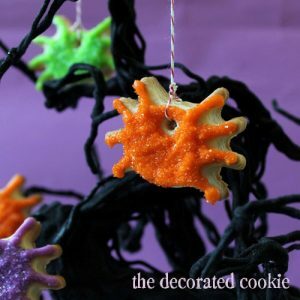 Snack cakes turned spiders at notmartha. 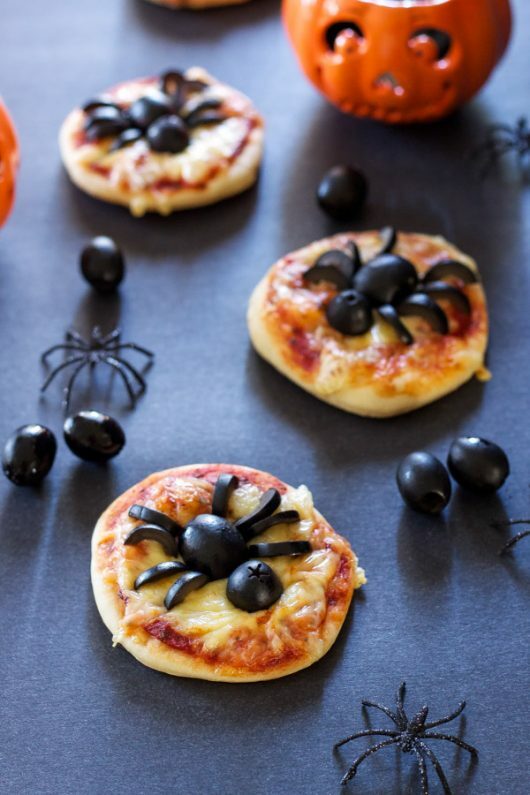 Make mini spider pizzas at Recipe Runner. 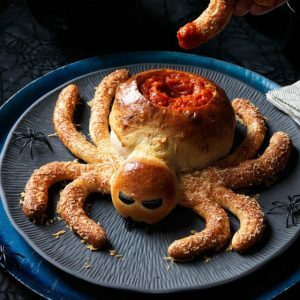 Make spider donuts at Say Yes. 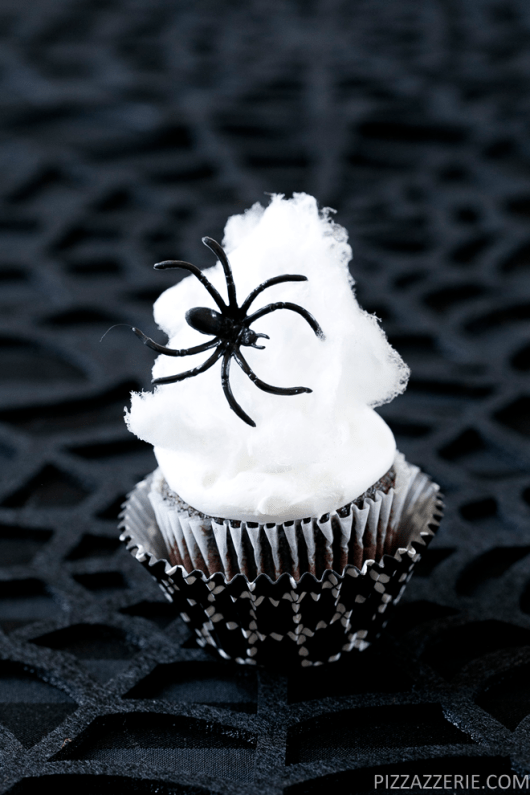 Big cake ball into hairy spider at Hungry Happenings. 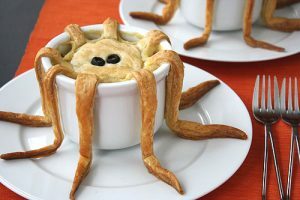 Make spider pot pie at not martha. 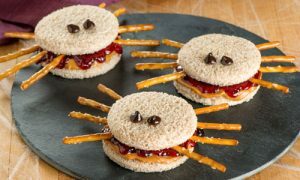 Make spider P B and J at Welch’s. 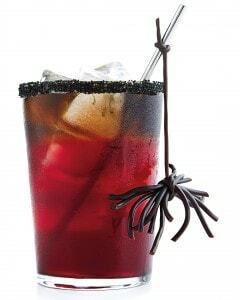 Cocktails with licorice spiders on your glasses at Martha Stewart. 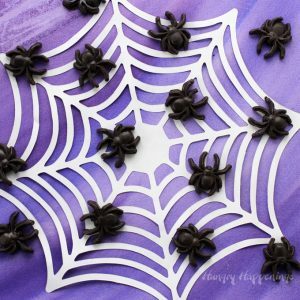 These spiders aren’t edible, but here are some creepy, crawly spider-themed crafts for your spider-themed Halloween party. 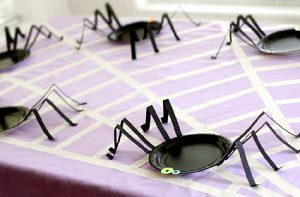 I’m loving the spider paper plates at this Halloween party by Lisa Storms. Cocktail time! 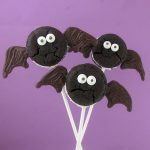 DIY Halloween swizzle sticks at Crafts Unleashed. Make spider hot dogs at Applegate. Spiders in the sky. 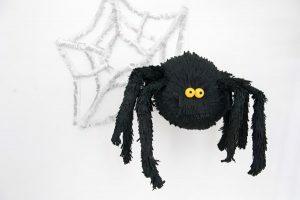 Make a spider pinata at Oh Happy Day. 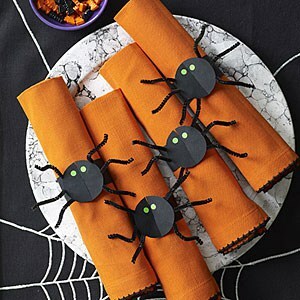 Make some spider napkin rings at All You.